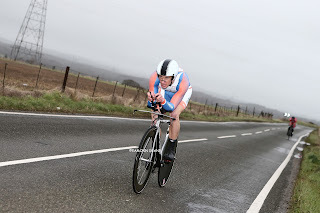 with Dean Robson (NOPINZ) a further 35 seconds back in third place. 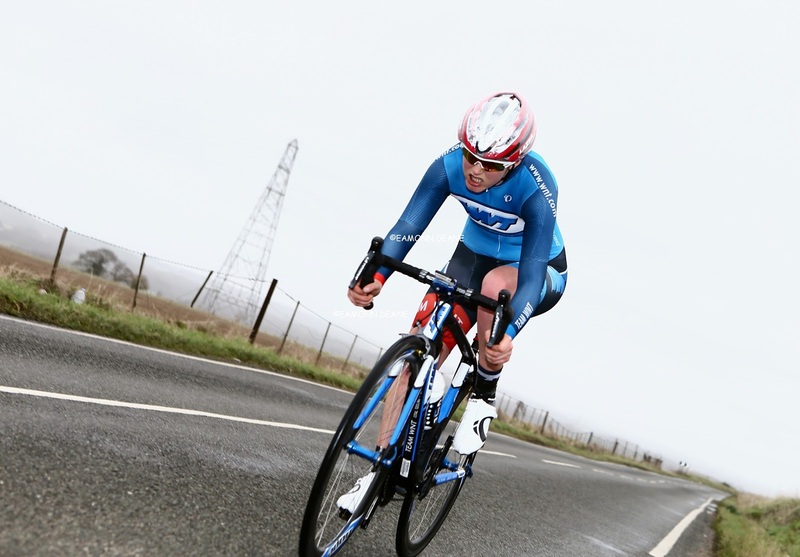 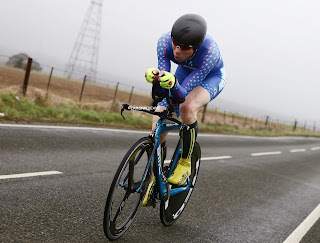 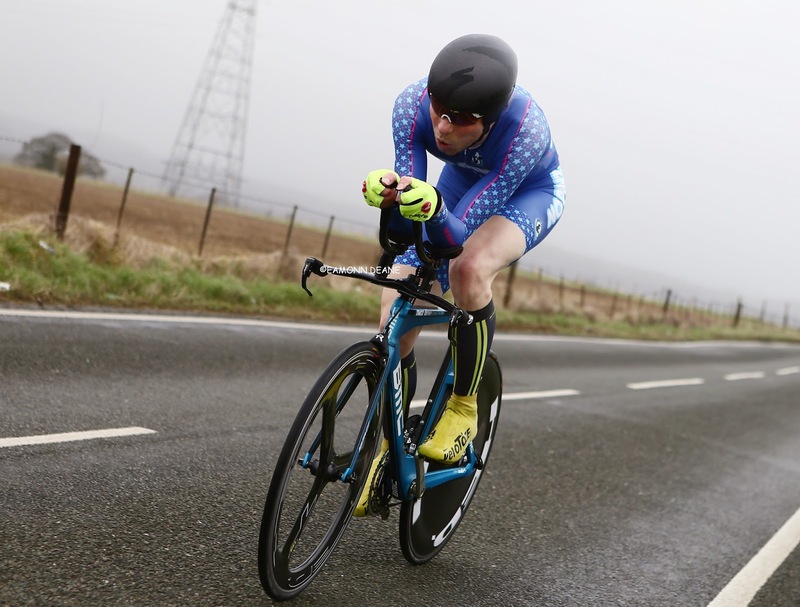 A big field of 88 riders faced the timekeeper in drizzling rain for this early season race, part of the new South District Sporting TT series. 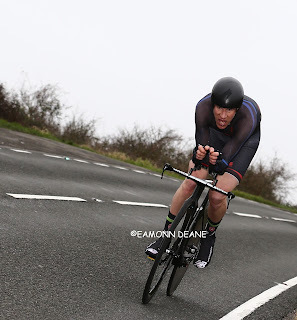 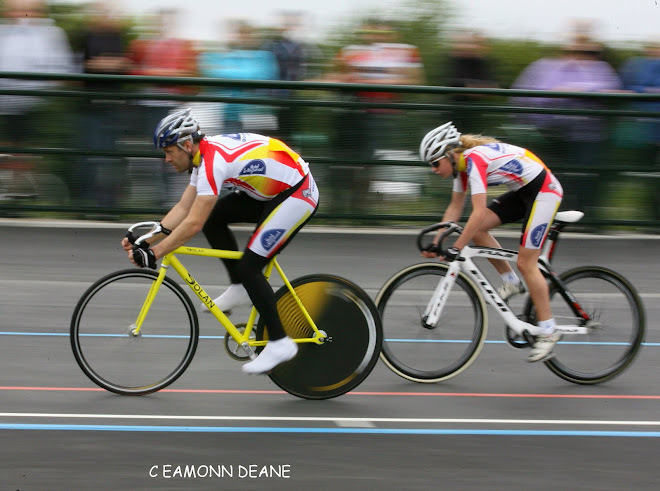 In the preceding “Road Bike” event, Kim Little (Gillingham & Dist Wh) recorded 41:22, to finish over a minute clear of Ross Phelps (Royal Leamington Spa CC) with Sotonia CC rider, James Peckham third in 43:05. 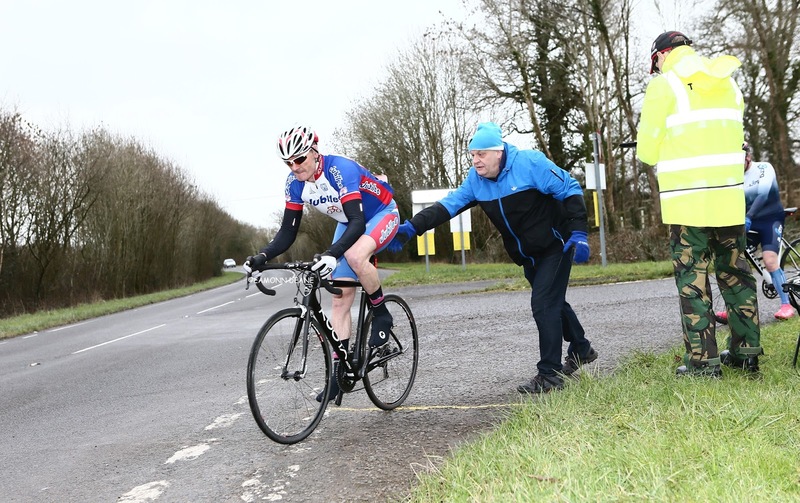 The early starters enjoyed the better conditions before the weather closed in, a stiff westerly wind blowing the riders across Portsdown Hill, the same wind making the descent to Southwick a little “sketchy” Organiser Simon Berogna briefly led the race, his time of 40.10 eventually placing him 5th. Early season racing continues in the south with the A3CRG 10 next Saturday (27th) at Liphook. 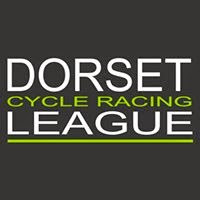 Another bumper field of 110 riders, twice last year’s number, will get to try out the course being used for the National 10 mile championships in August. 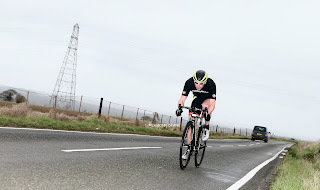 “First race of the season always a nervous one, I was pretty nervous this morning, you never know how you are going. 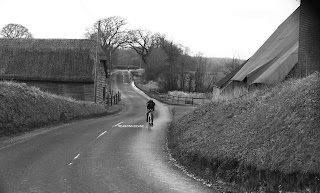 Windy, that was the main thing today, it was dodgy on the downhills, absolutely rapid across the top, crosswinds on the descent and the exposed section on the steep part was lethal, unable to pedal really, just trying to keep my position and get down. I live local so I ride the course quite a lot in training, I did a lap the other week on my training wheels and I knew I was going pretty well compared to that. 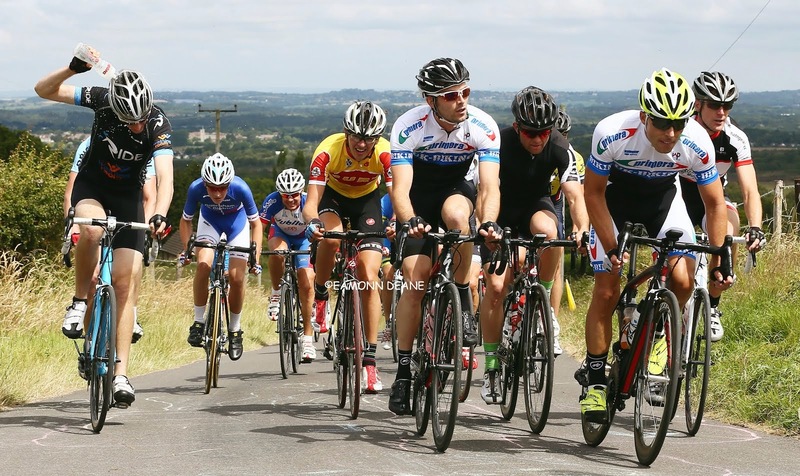 I am happy with the result, I wanted top three, you always want to win but Chris is top rider”.